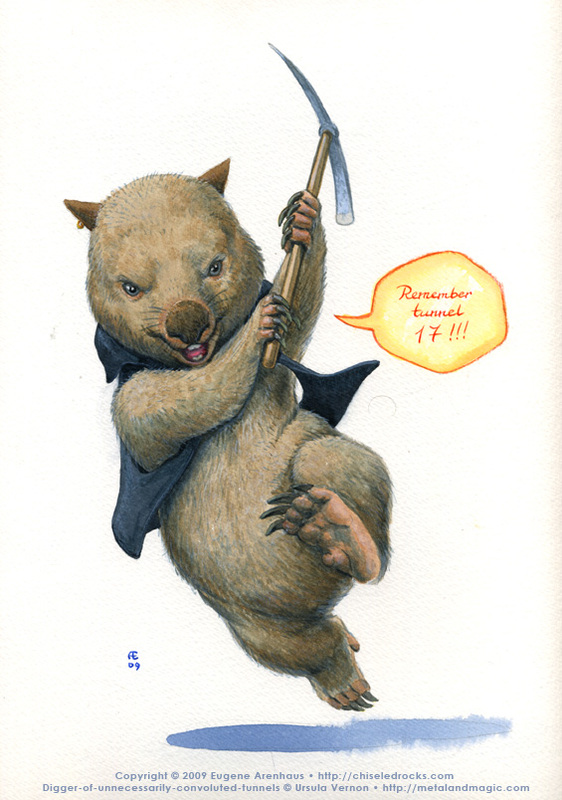 Illustrations: Digger - Remember tunnel 17! Digger - Remember tunnel 17! Digger-of-unnecessarily-convoluted-tunnels, of Ursula Vernon’s excellent comic “Digger”, about to bury her pickaxe in your braincase. What? You shouldn’t have angered her. Given her stoic, stable character, you have to work really hard to get her to this state. This was great fun to draw, partly because Digger is such a great comic, but also because wombats are fun to draw in general. It is their intrinsic quality. 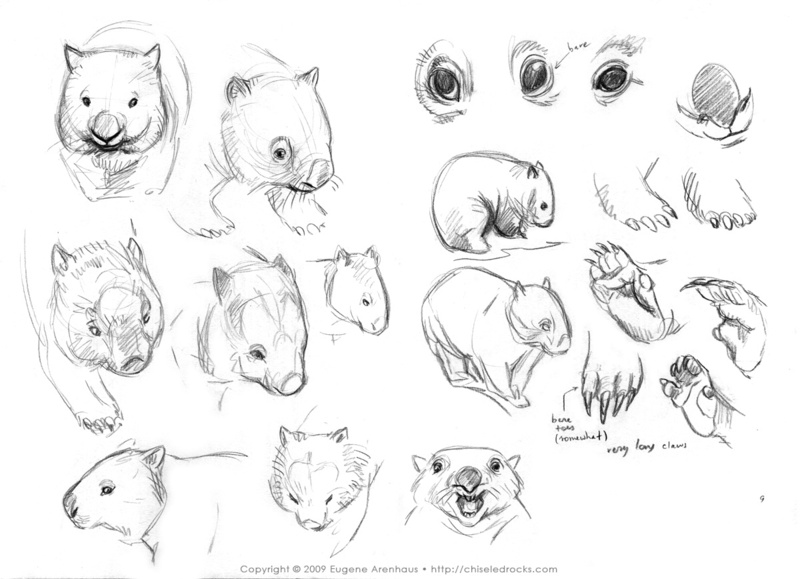 Drawing wombats is not unlike doing that famous exercise for animators, expressing emotion with a sack of flour. Be sure to look at the sketches too. 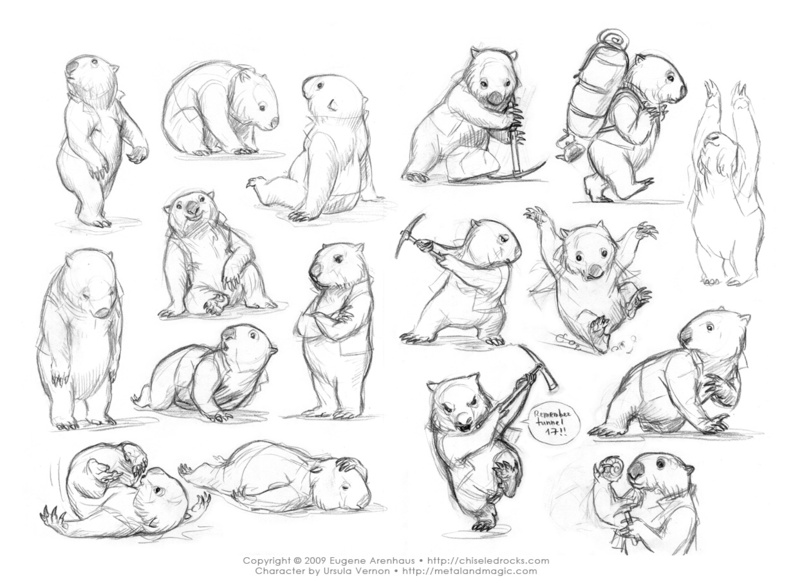 They show the torturous way to the final work’s dynamics, and a ton of Digger poses. And Shadow Child has a cameo! This is now featured as filler art at the Digger comic itself! http://www.diggercomic.com/?p=785 Yay! If you and Ursula could work out some agreement to distribute this image as a poster for sale, I for one would be eternally greatful, and have to buy multiples out of gratitude. The discussion is now closed.